It doesn’t take crazy crafting skills to create something meaningful for your best girls. 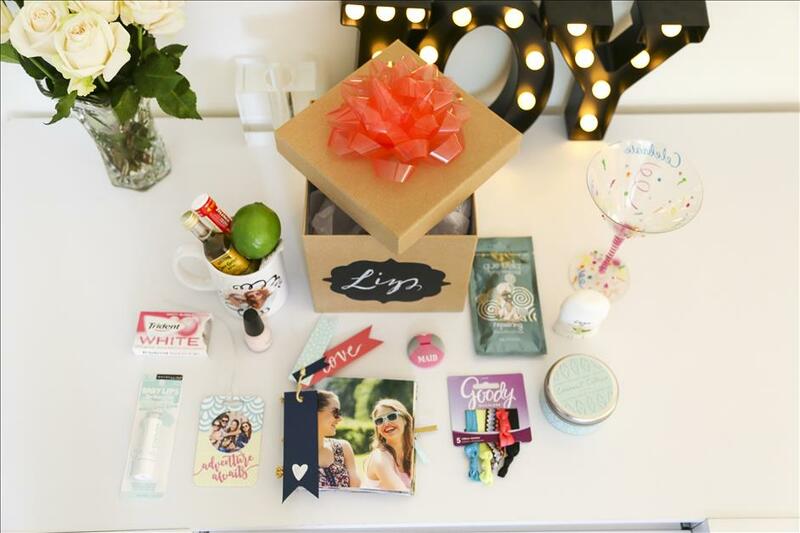 We mixed three, personalized DIY keepsakes with cute, girly sundries to create the perfect gift box for your bridesmaid ask, bachelorette party, or wedding day! 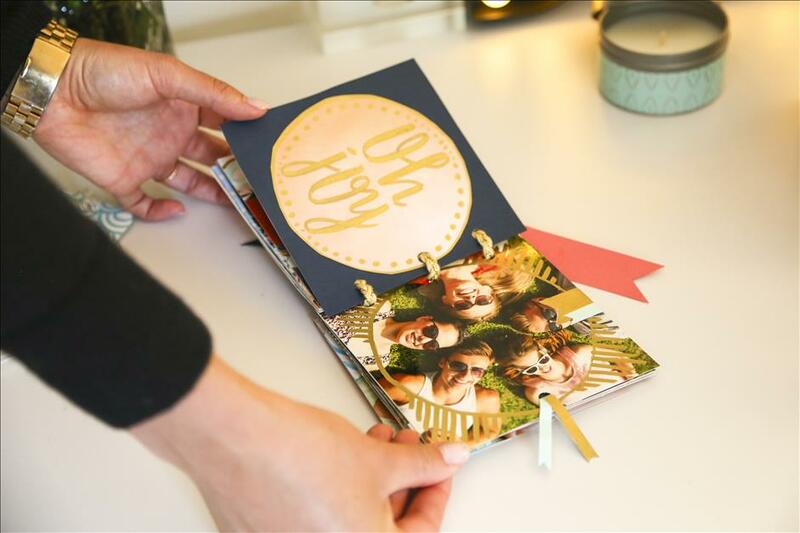 A photo scrapbook is a perfect, heartfelt way of collecting photos from all the years you’ve known each other, or for displaying prints from a fun bachelorette or bridal shower photo shoot. 1. Print 10-20 of your favorite photos with your bridesmaid. 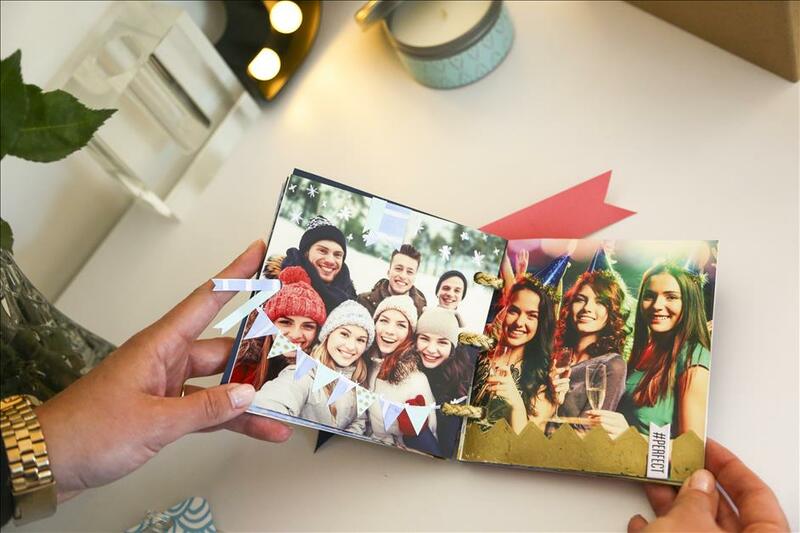 Arrange them in front of you to visualize the order of your photo scrapbook. 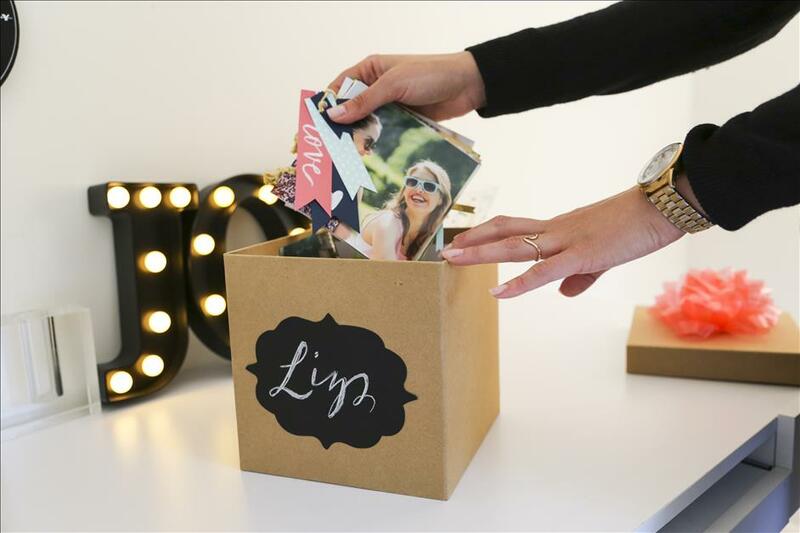 Try these cute square photo prints for your favorite pics from Instagram! 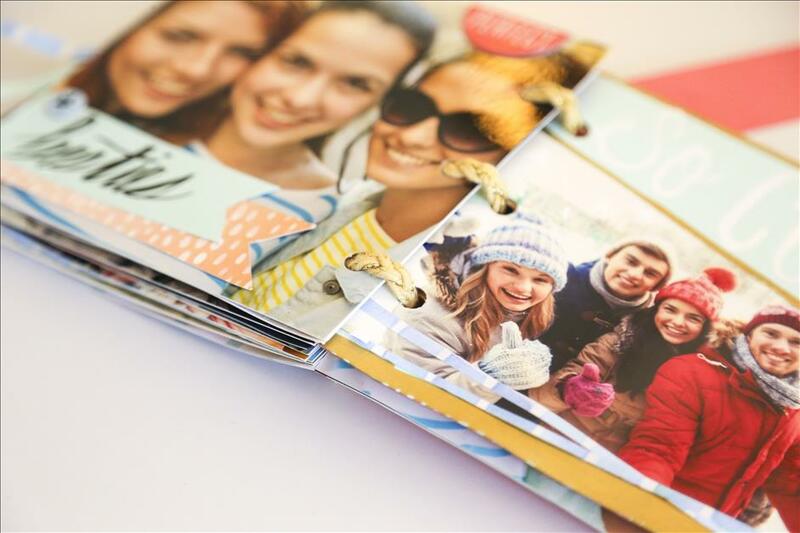 TIP: Print more photos than you need, just in case you make a tiny mistake! 2. Pick out some scrapbook paper. 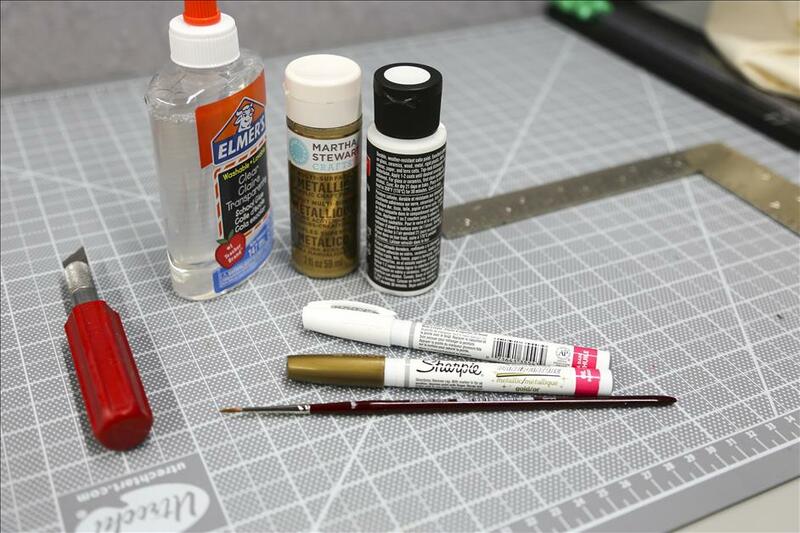 We recommend choosing a variety of weights, and bringing home both solid and patterned paper. 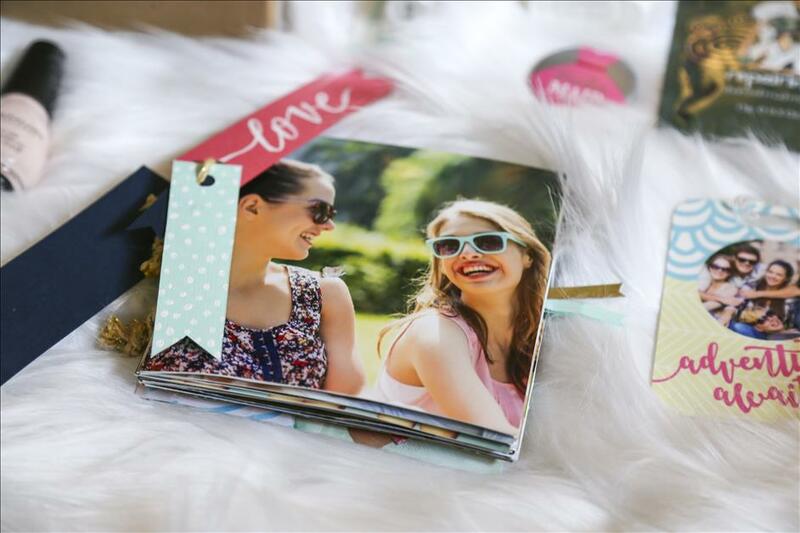 Use the scrapbook paper to create interesting frames and designs on your photo prints. Be sure to trace a circle where the hole will be punched. 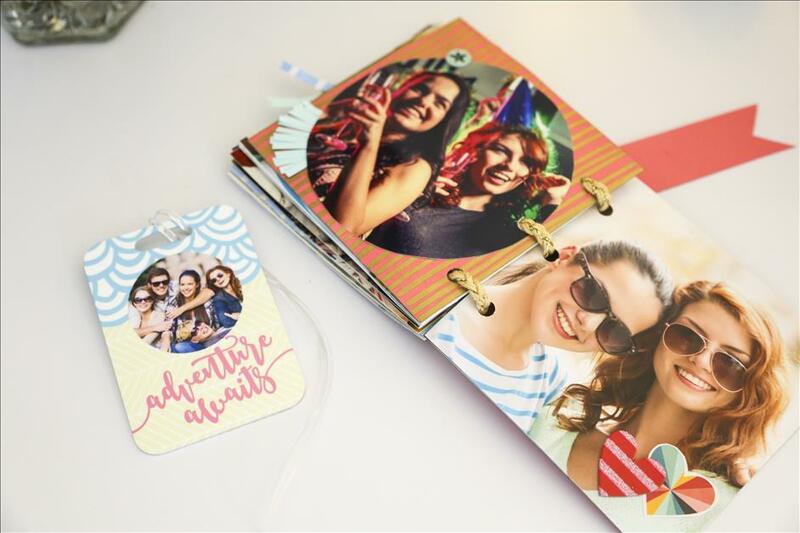 Add some texture to the solid scrapbook paper pages by painting designs (like polka dots or Chevron stripes) to your cutouts. 3. Once all of the pages are complete, adhere the backs of each page to each other. 4. Punch three holes in each page. Make sure they align correctly before punching! 5. Tie the decorative ribbon or twine through each hole to bind the book together. Voila! 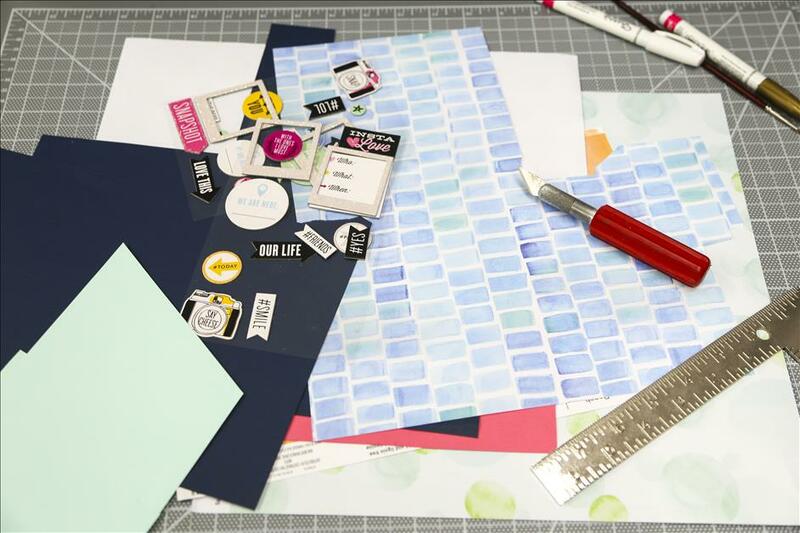 BONUS: Have some leftover scrapbook paper? Use your twine to tie some adorable flags to the corner of your book. 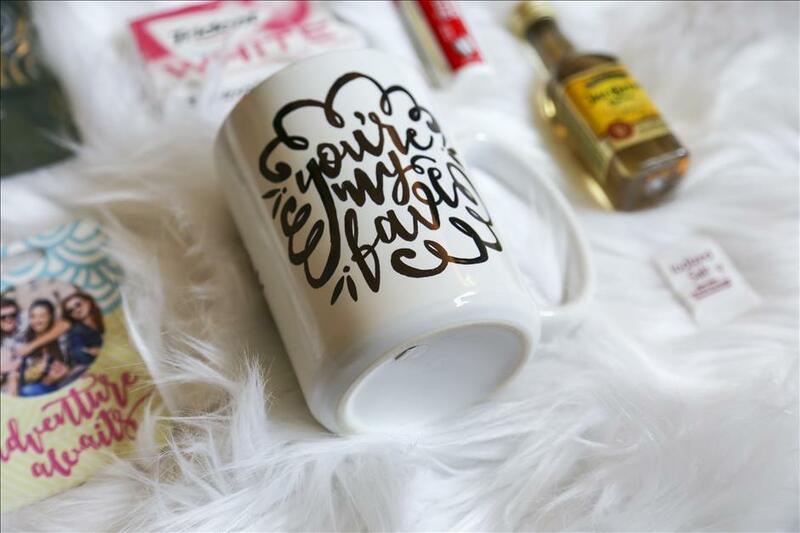 A “Before and After” Kit in a Photo Mug is perfect for bachelorette parties or for the morning before the wedding! 1. Order a Custom Photo Mug using a photo of you and your favorite ladies. 2. 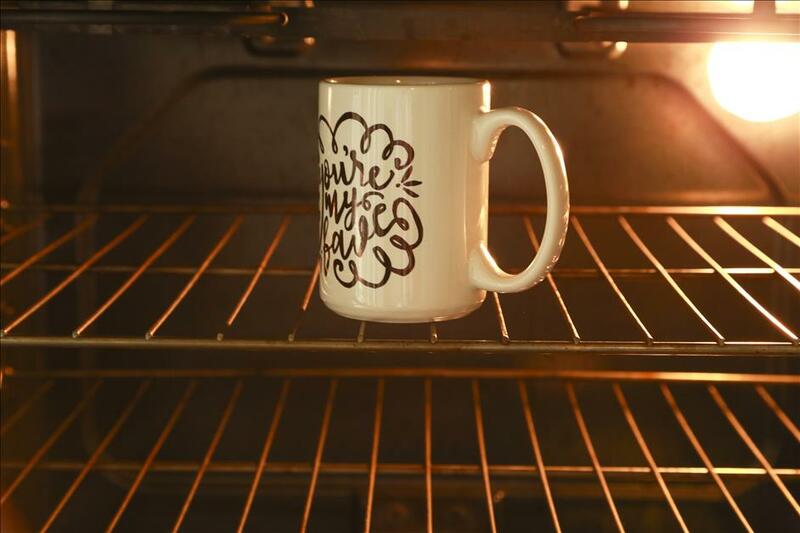 Once it arrives, either create your own design, or trace a design you love onto the mug using a Sharpie. 4. Once your mug has finished “baking” and is cool enough to touch, add your tequila bottle, lime, salt packet, and Tylenol to the mug. Now they’ll be ready for fun (and they’ll be prepared for whatever happens the next morning)! Are you planning on heading out of town for your bachelorette party? Or, are you planning a destination wedding? 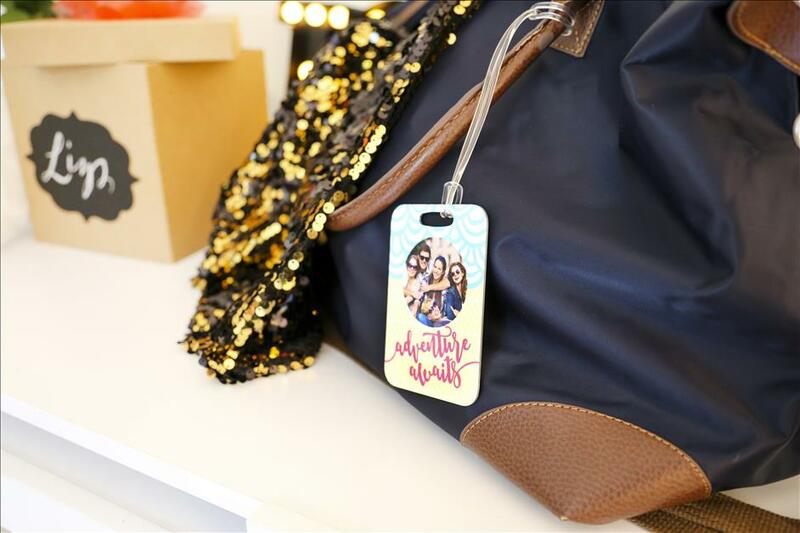 Nothing is cuter (and more “on theme”) than a personalized Luggage Tag! 1. Digital photo of you and your bridesmaid. 2. Luggage Tag design. TIP: Click HERE for the front of our Luggage Tag design + click HERE to download the back of our design. For fans of Photoshop, click HERE for the Photoshop file! 1. Choose a photo and a Luggage Tag design from our gallery (or download the design we used by following the links above). 2. That’s it! Your finished Luggage Tag will arrive with its own band, so it’ll be totally ready for whatever adventure awaits. 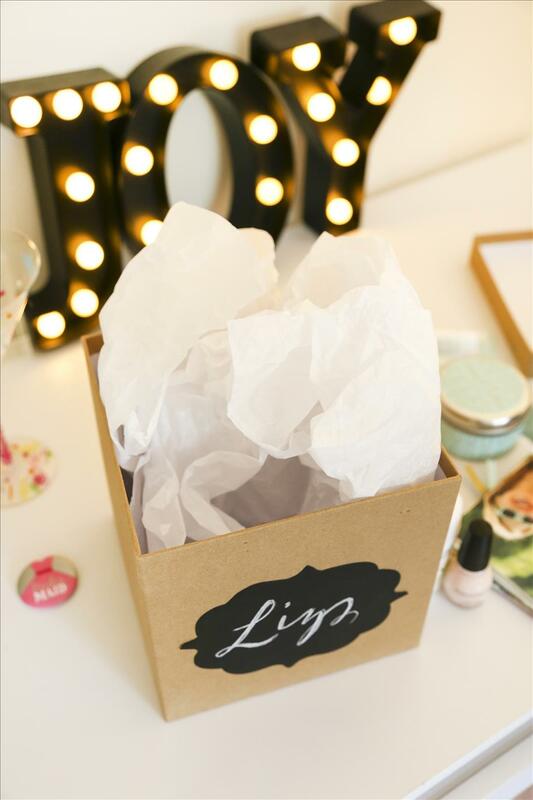 Once you have all of your items, choose a fun, customizable gift box! We personalized ours with a little hand-drawn calligraphy on chalk paint. 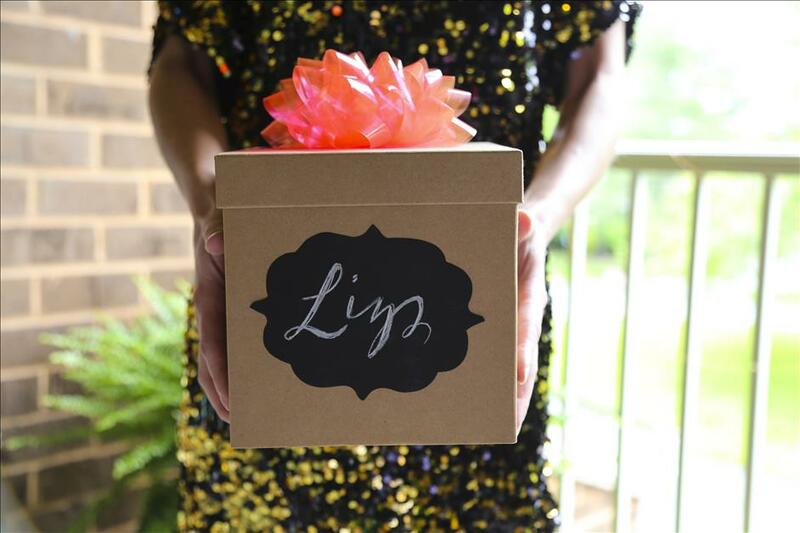 Once it’s done, deliver to your bridesmaids and enjoy the celebration!